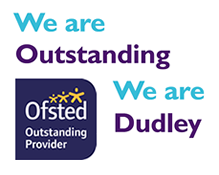 Here at Dudley College of Technology we recognise that being properly trained and qualified is probably more important today than it has ever been. Whatever you hope to do - find a job, train for a career, prepare for university - you'll need the right skills and knowledge to prepare yourself. So if you're looking for the widest possible choice of opportunities - check us out! We offer hundreds of different courses and pride ourselves on providing a lively fun and caring environment. You'll be valued as a person, encouraged to value others and to respond positively to high quality teaching. The quality of our staff and resources make the college an exciting and enjoyable place in which to learn. If you choose to learn with us, you can be assured that we are committed to providing you with qualifications and skills to meet the demands of an ever-changing world and we want to enable you to move on to the world of employment or Higher Education with the confidence and self-assurance to succeed. We look forward to welcoming you to the college for some of the best days of your life.